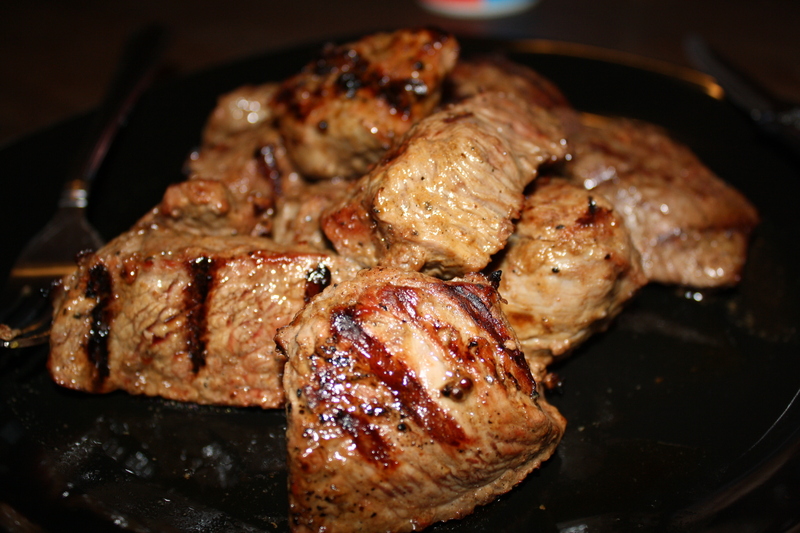 Steak tips are my favorite. They’re so simple and pure. It’s just steak….nothing fancy. These tips were marinated in a natural steakhouse sauce and grilled to perfection by M.
I also like the things that go with steak. 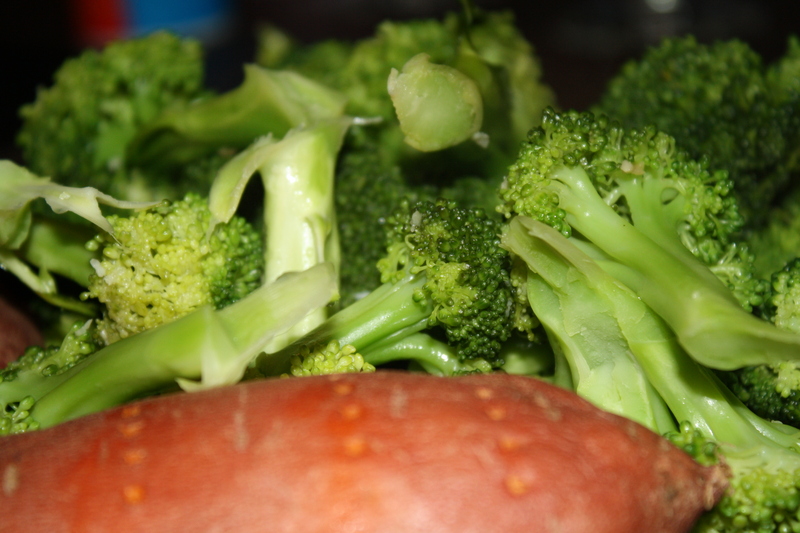 Like sweet potatoes and broccoli. 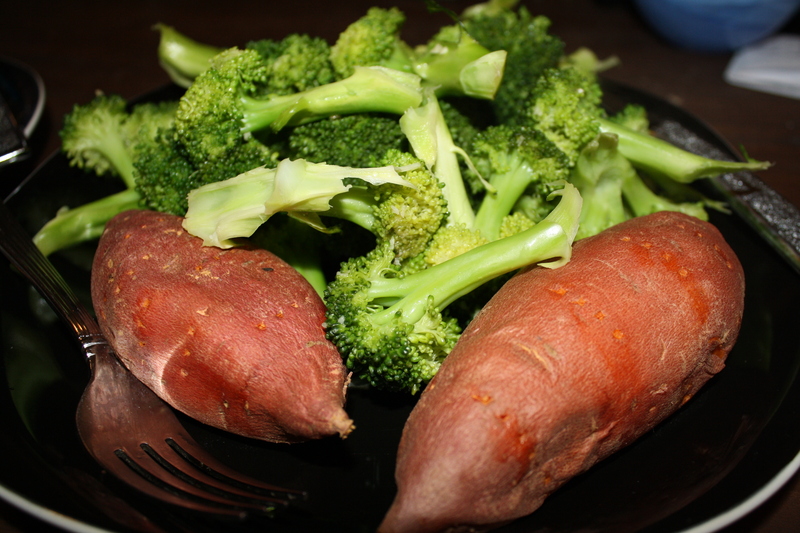 Baked sweet potatoes and steamed broccoli: simple and delicious. I’m all about the simplicity. We whipped up this meal in about 15 minutes (yes, I cheated and baked the sweets in the microwave…). Teamwork is a wonderful thing. What’s your favorite simple meal?